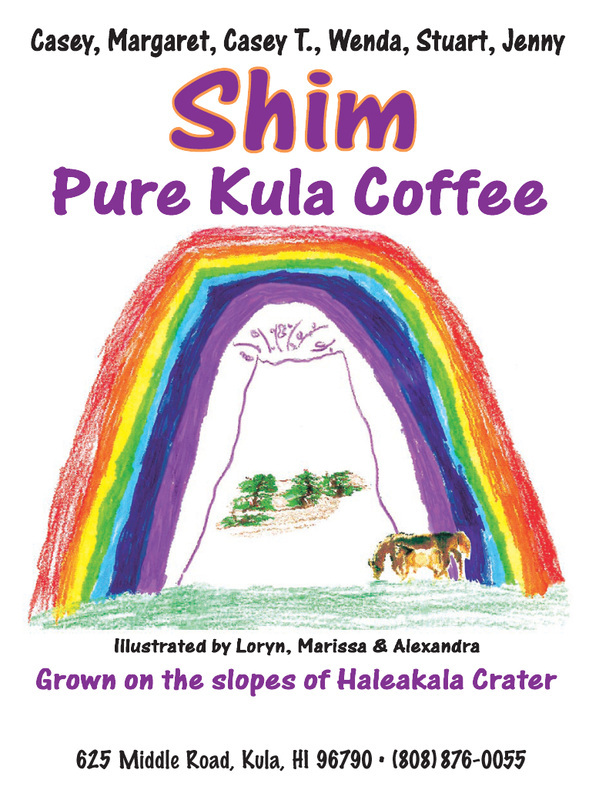 Casey's granddaughters, Loryn, Marissa, and Alexandra Kanemaru designed the Shim Pure Kula Coffee label when they were 12, 10, and 7 years old, respectively. With the help of their mother and a graphic designer, the logo was pieced together and the Shim Pure Kula Coffee brand was born in 2001. This label on the signature purple, metallic coffee bags have been spotted around Maui at various shops and stores with more locations being added annually.